Earlier this week, 7 friends from our church joined me for the 2014 Southern Baptist Convention Pastors Conference in Baltimore, MD. This two-day event precedes the Southern Baptist Convention and is intended to encourage and challenge pastors in ministry. While this was my fourth Pastor’s Conference, this was the first exposure to the SBC for most of those who came with me. 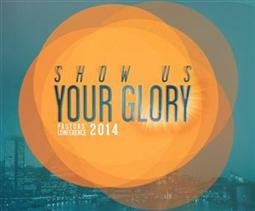 This year’s theme was “Show Us Your Glory” inspired by Moses’ plea found in Exodus 33:18-23. There were 9 pastors who preached messages including Ronnie Floyd (new SBC president), H.B. Charles, David Platt, Johnny Hunt, Clayton King, Eric Mason, J.D. Greer, Alex Himaya (pinch-hitting for Tony Evans), Rick Warren, James MacDonald, and Francis Chan. We listened to each of the talks (except one) and then spent time discussing them as a group. During our review we each tried to graciously highlight parts we found encouraging and helpful and then circled back to go over parts we found confusing or unhelpful. Here’s a few of our takeaways. 1. Big churches and famous pastors aren’t our hope. One of the reoccurring themes of the messages was that God doesn’t need big churches and famous pastors to advance His church. Though all the speakers at the conference were well-known pastors of large churches, several of the brothers spoke against the idea that God’s glory is best seen in the celebrity church model. This was refreshing to hear from a denomination that has, at least at times, appeared to endorse the 6 Flags Over Jesus model of ministry where “bigger is better.” In J.D. Greer’s message he directly addressed this by showing how God has used “no-name” Christians throughout history to expand the church and do works greater than Jesus Himself (John 14:12). Jesus loves to use the weak and humble to make His glory known, and that was good news for us. 2. We must be burdened to proclaim the Gospel. As you might expect at an SBC event, the call to be evangelistic was front and center in many of the talks. God has given us the Gospel and as Johnny Hunt said, “regardless of how well we define the Gospel, it does no good if we don’t declare the Gospel.” While not every talk specifically encouraged us to take the Good News to those who don’t know Jesus, we couldn’t help but talk about ways we could do this better in our own church. Ironically, we also noticed that most of the messages didn’t explicitly proclaim the Gospel—but more on that in a minute. 3. The pastors’ transparency was endearing and encouraging. While there is a danger in repeatedly referencing yourself in messages, a few of the brothers (H.B., J.D. and Rick Warren in particular) showed us God’s glory through their weakness and suffering. Christians are not the courageous lions of the kingdom, we are weak sheep who need the strength and guidance of the Chief Shepherd. Several of these men opened their lives and humbly shared how they had been empowered by the Almighty in times of pride and tragedy. I was deeply encouraged by Rick Warren’s transparency about his son’s suicide and the lessons he shared about what God is doing in our suffering and how we should respond to Him. I’d commend the message to anyone who is in a season of darkness—or who desires to prepare for the one that is sure to come. 4. The ethnic diversity of the preachers was refreshing. The SBC has long been known as a white man’s denomination. While some may not like to admit this, it’s tough to argue, especially after doing a quick scan of those in attendance. But as this year’s preaching line-up reflected, I believe the SBC is making strides to be a denomination with members whose ethnic diversity reflects the diversity in the kingdom of God (Revelation 5:9, 7:9-10). This year four of the nine preachers were not Caucasian. And to be clear, the four other preachers were not token minority brothers invited to bring some color to the line up. The non-white brothers who fed us were well-abled men who knew the Word and used their gifts to edify and exhort us for God’s glory. We were all refreshed by the ethnic diversity among the preachers. 1. Exposition Was Often Absent. This was the first time many of us had the opportunity to hear these brothers preach. We don’t know what they do in their churches on Sunday morning, but we hope they preach expository sermons (where the point of the sermon is the point of the text). But that’s not what happened in most of the sermons during the conference. We all agreed that the sermons in the pastor’s conference should both be both edifying and instructive for the preachers in attendance. While most of them were edifying, only a few were good models of how to preach an expository sermon. Several of the brothers missed this opportunity and used the text to support a point they wanted to make. To be clear, we don’t think topical sermons are unhelpful, but none of these sermons were really topical either. Though he wasn’t the only one who did it, we all agreed that H.B. Charles’ sermon was a model of how to both edify and instruct through faithful exposition of God’s Word. 2. The Gospel Was Often Assumed. While there was much talk about the Gospel, we felt it was usually assumed rather than explicitly explained and proclaimed. Jesus was referenced, the cross was referenced, belief and repentance were referenced, but we could only point to a few times in the whole pastor’s conference where the life, death, burial, and resurrection of Jesus were explicitly proclaimed (1 Corinthians 15:1-4). This was concerning for three reasons. 1st, it served as a missed opportunity for the pastors in attendance to see how to proclaim the Gospel in their preaching. 2nd, there were thousands of people in that room and it is certain that not everyone was born again. Finally, the assumption of the Gospel by a denomination is the first step toward a denomination losing the Gospel. As D.A. Carson has said, a church is never more than three generations from losing the gospel: one generation to believe it and proclaim it, a second generation to assume it, and a third generation to lose it. The Gospel is too precious to be lost and too necessary to be assumed. Let us be a denomination filled with pastors who make the Gospel clear in every sermon we proclaim. 3. Jesus’ Glory Was Largely Neglected. The most striking thing to our group was that in the majority of the sermons Jesus was not shown as the fulfillment of the text being preached. This wasn’t the case in every sermon (for instance, David Platt clearly showed how Jesus fulfilled Psalm 68), but the majority of the sermons lacked a clear explanation of how Jesus fulfills the OT pleas for glory (Matt. 5:17; Luke 24:27). If there was anything we should expect from Christian pastors, it would be to show those who are listening how Jesus fulfills the text being preached. And in a conference with the theme “show me your glory” we were certain that texts like John 1:14 would be front and center. Now, I am certain that all the brothers who were preaching believed Christ to be the fulfillment of their text, but making this explicit is a must for those of us who serve as Christian ministers. As I say this, I say it as someone who has grown in this conviction over the past five years. A dear pastor friend of mine challenged me on my lack of Christ-centric preaching and it has forever changed my ministry. May we always proclaim Jesus as the hope and highpoint of every message. If these critiques sound harsh, they are not intended to be. On the whole, I am grateful for our denomination and the things we stand for, but I do think we need to help each other grow in faithfulness. This is an attempt to assist to that end. Our group was thankful for the hard work Dr. Bruce Frank and these preachers put into the conference and trust the Lord will use it to bear much fruit for His glory. This entry was posted in Church, Southern Baptist Convention on June 12, 2014 by garrettk.